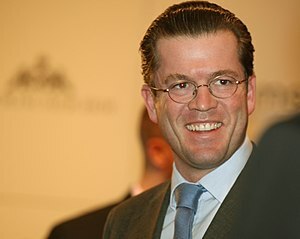 The Financial Times Deutschland reported today that up to two-thirds of German Defense Minister Karl-Theodor zu Guttenberg‘s doctoral thesis was taken from other, undocumented sources. That level of plagiarism moves beyond the accidental missing footnote. His Website (in German) makes the claim “Committed to Responsibility”. Really? His falsity is appalling. As I’ve mentioned in Psychology Today, one of my professors, whom I had highly regarded, lifted two full passages from my research paper and published it in a political science journal without annotation. His cheeky response to my confrontation only furthered my bewilderment. Did Iwant him to be my doctorate advisor? After lifting my stuff? No way. The trouble with Guttenberg’s continued denial of any real wrongdoing reinforces my belief that he thinks he is somehow right. That it was his right, as a young father and new politician, to get the job done anyway he could. That lifting complete passages from other people’s work was acceptable because he was too busy to formulate his own ideas. In your case, Herr Guttenberg, busy really is a four-letter word. And that brings me to my next claim: multitasking made him do it. Juggling several roles at one time can be daunting. We look toward the most productive ways to complete our tasks. Some think ‘multitasking’, defined as doing two or more comparably difficult things at one time (and I would argue that launching a political career while caring for a young family and writing a thesis in law to be just that), is possible. 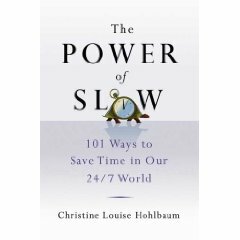 In virtually every one of my talks on the power of slow, there is at least one person who adamantly claims multitasking is the only way to survive today (thusfar, it has always been a woman who claims this). Others who examine Guttenberg’s case might argue that men are just plain bad at multitasking. That had it been a woman, there would have been no need to plagiarize hundreds of text passages to claim her doctoral title. Such arguments are fruitless. Guttenberg did. And his case, like so many others, drives the point home that multitasking lands you in hot water and, quite possibly in Guttenberg’s situation, on the street. Re: ‘yes’ & ‘no’ ~ sometimes sayin ‘no’ 2 sth leads 2 procrastination. Ask urself am I really saying ‘yes’ to myself if I say ‘no’ to this? Taking care of yourself is the best thing you can do for other people because then there’s more of you to go around.